So in my last post, I wrote about the conceptualization aspect of the design process. Today I want to talk a little more about the nuts and bolts of designing and writing patterns. As with inspiration and the initial design process, most people work very differently. For me, most of the pattern writing happens after the fact - the initial notes are more of a sketch than a full, readable pattern. 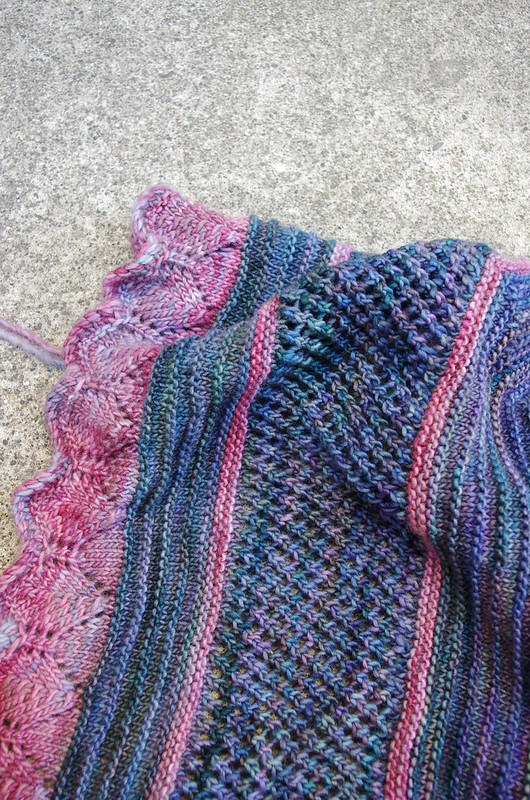 I gather most of my information about the design from the materials and the way a design element unfolds as I knit, so I don't usually bother to write a full pattern before I begin. Instead, I swatch with the yarn and needles that I think will work for the design, measure gauge and crunch some numbers based on the size and shape of the design. From there, I figure out where to start in construction, then write a rough draft of the cast-on and first design elements. After that, I build upon those first elements, taking time to make sure that the next step is working in harmony with the first step and the design as a whole. In both knitwear and fashion design, I'm the sort of designer who is constantly taking a step back, trying things on, and editing. It's very important to me that a design lives up to my conceptual vision of it, so I tend to be pretty ruthless about ripping out and re-knitting or re-working. 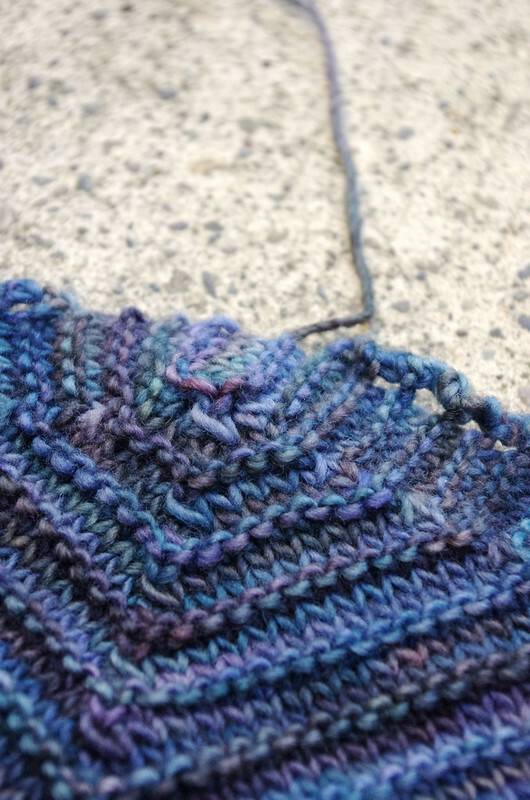 As I knit, I write notes about numbers, color changes, and unusual or unexpected shaping. 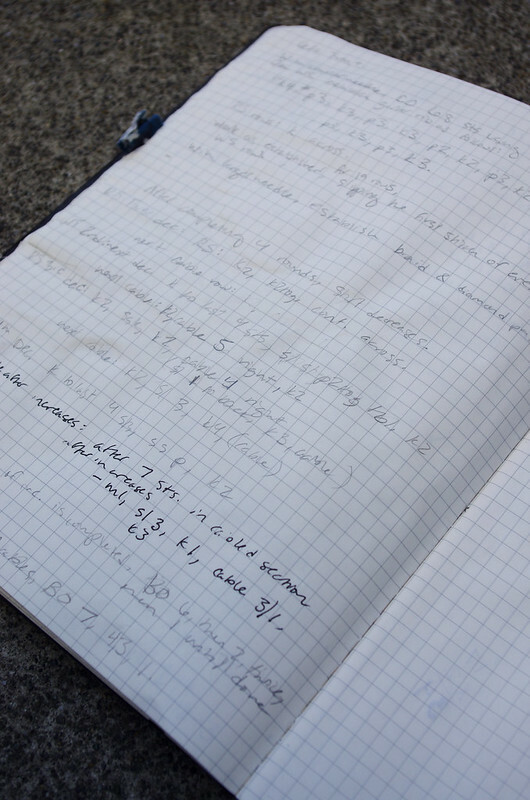 Often the end product in my notebook is covered in arithmetic, weird shorthand, and crossed-out instructions, so I have to go back and translate my notes into a workable pattern. Usually this is after the piece is finished, so I can use the garment as a visual reference for the pattern as well. 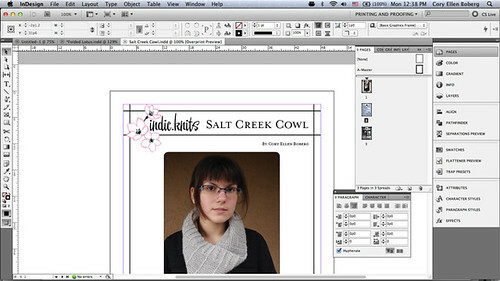 From there, I take all of my notes and start inputting them into InDesign. 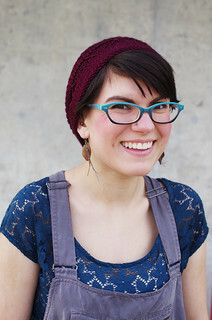 After that, I really focus on not just writing the pattern down, but writing and formatting it in such a way that it's clear, concise, and accessible to a variety of skill levels of knitters. Although most of the patterns that I've worked on so far are intermediate, I want adventurous beginners to be able to tackle them as well - this was the way that I taught myself almost everything I know, and I have great respect for folks who are constantly challenging themselves to learn. I also know quite a few people who prefer written instructions, so I try to make sure that both the written and charted instructions are represented in my patterns. Since I'm a perfectionist, I have a hard time accepting that something is really done, but at some point it has to be released into the wild! My pattern-writing and layout process is constantly evolving, so I really appreciate constructive criticism and suggestions. I've just started this process with Folded Lotus (the working title of the Rastita shawl) and am finishing up tweaking the pattern for the Salt Creek Cowl - which I knit last fall - so stay tuned!